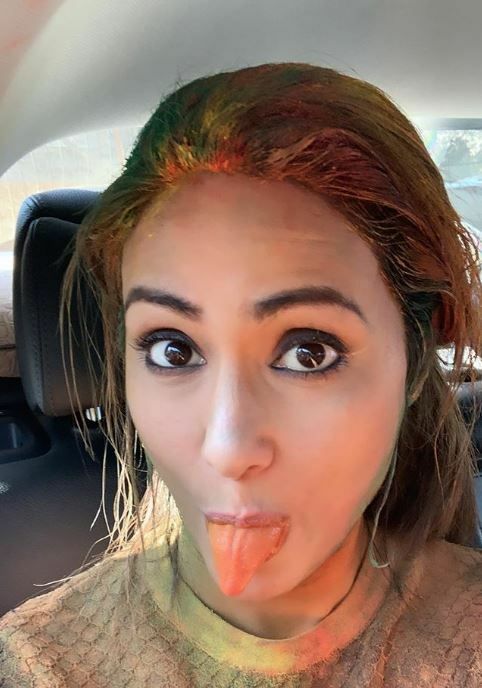 Television actor Hina Khan aka Komolika, who is currently being featured on Ekta Kapoor’s show Kasautii Zindagii Kay, had a fun day at the sets of the show. 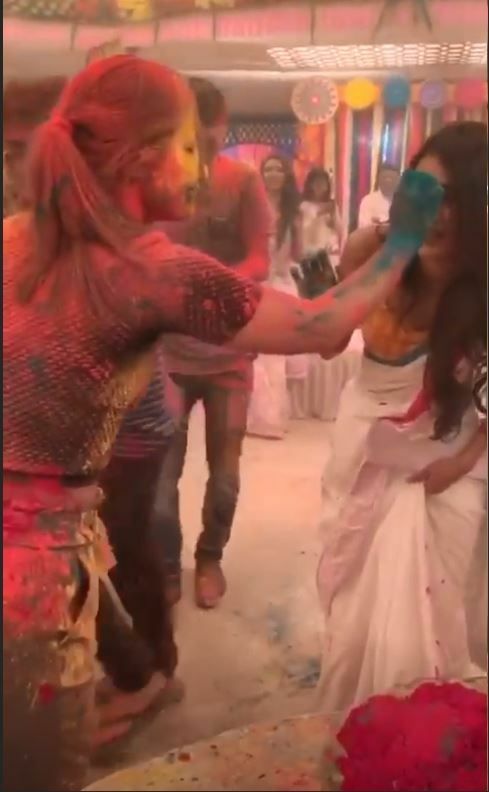 The reigning lady of television was spotted playing Holi with the cast of the show and yes she can be seen fully drenched into colours. 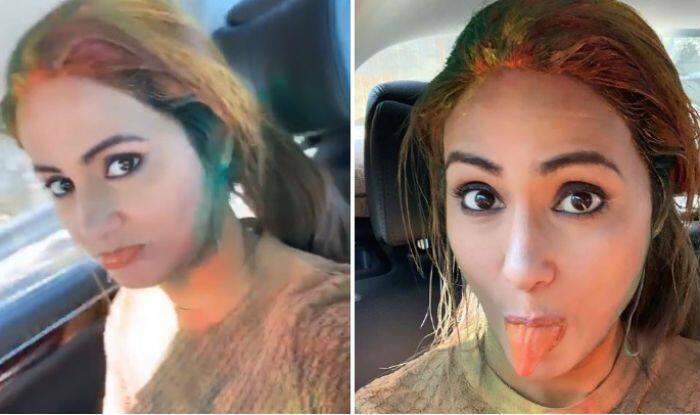 Earlier today, she took to Instagram stories to share her videos from a fun-filled Holi celebration on the sets of Kasautii Zindagii Kay. 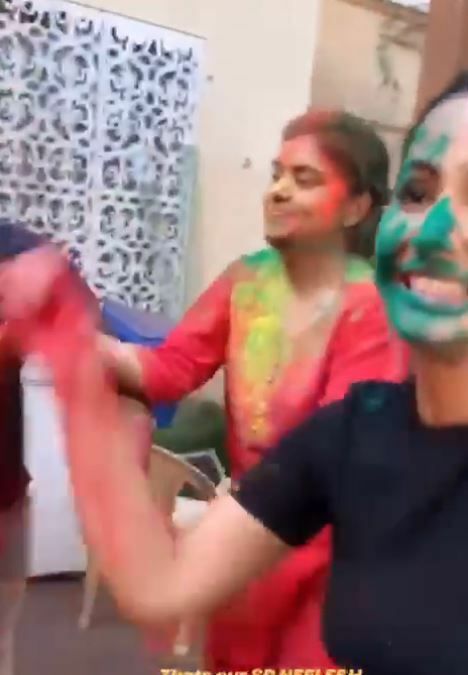 She can be seen throwing colours on Pooja Banerjee (Anurag’s sister) and Erica Fernandez (Prerna). 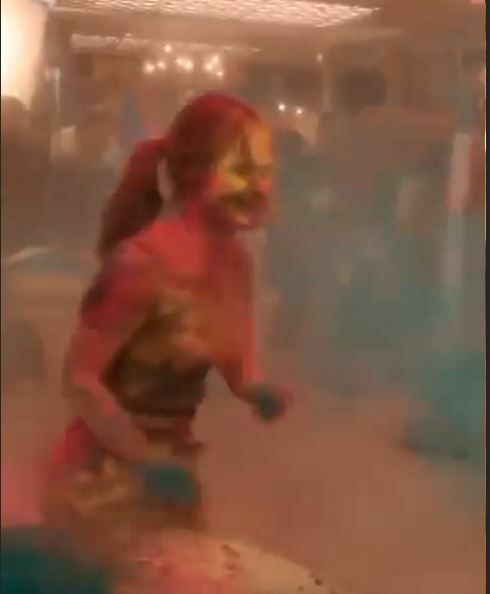 In the video, she runs around as she tries to throw colours on different people. Well, the celebrations will make you more excited for the festival of colours. Earlier, Hina has shared her couple of pictures in a beautiful white and silver shimmery outfit. In the monochrome picture, she has accessorised her look with perfect makeup, a pair of earrings, bold lipstick and a neat hair bun. The look is from the Holi episode on the show and her fans can’t just wait for the episode to air soon. On the show Kasautii Zindagii Kay, Hina Khan is married to Anurag and is leaving no stone unturned to keep him away from his first wife Prerna Basu. The interesting twists have kept the audiences glued to the show. 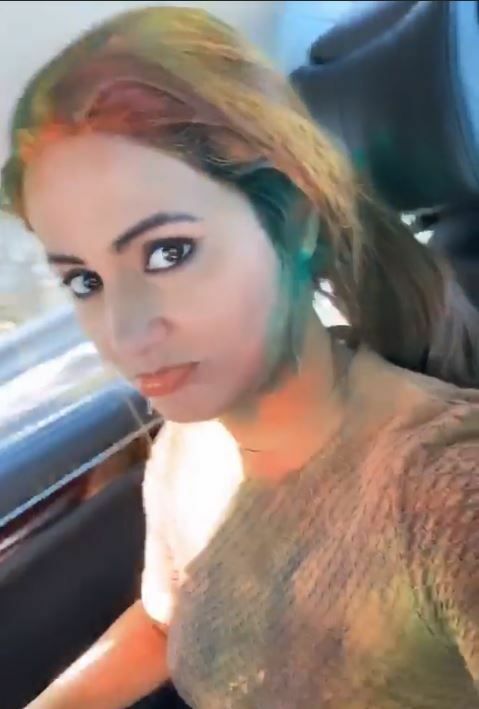 However, the news of Hina’s exit from the show has left her fans disappointed.